All that is known of Antonio di Manfredo da Bologna, known as Antonio Pirri, is the fact that he was Bolognese. The only document that refers to the artist records his presence in Naples in 1511. Very few works are known by his hand, of which only three are signed: The Visitation and Saint Sebastian (both Museo Poldi Pezzoli, Milan), and The Hermit Saints Anthony and Paul (formerly Accorsi collection, Turin). 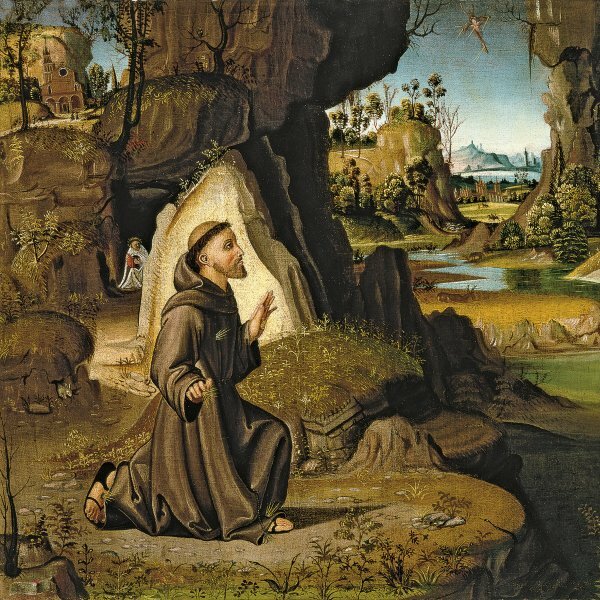 Over the past few years and using these signed works as a reference point, others have been attributed to him, including Saint Francis receiving the Stigmata (Museo Thyssen-Bornemisza, Madrid), and The Presentation in the Temple (private collection, Rome). Pirri’s style reflects the influence of Bernardo Zaganelli, Francesco Francia, Coltellini, Amico Aspertini and Ercole de’Roberti. Venturi associated this painter with the Ferrarese school on the basis of his lively palette and the delicate lines used in the faces of his figures. Other art historians, however, have detected Venetian influences, particularly in his mature works.